This is seriously a deliciously decadent and moist cake! It is too dangerous to have it at home! 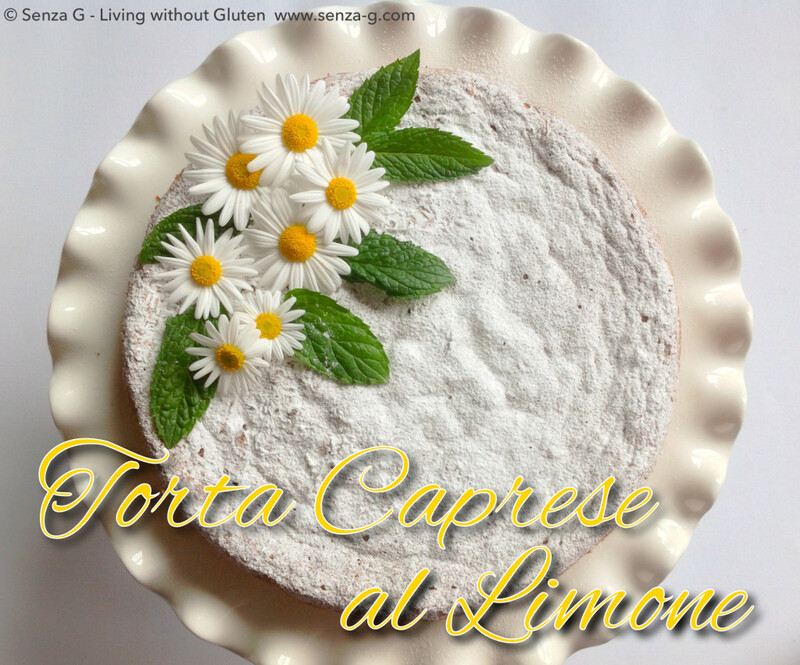 Torta Caprese is traditionally made with chocolate and almonds. It is a typical Napolitan sweet, originally from the island of Capri. 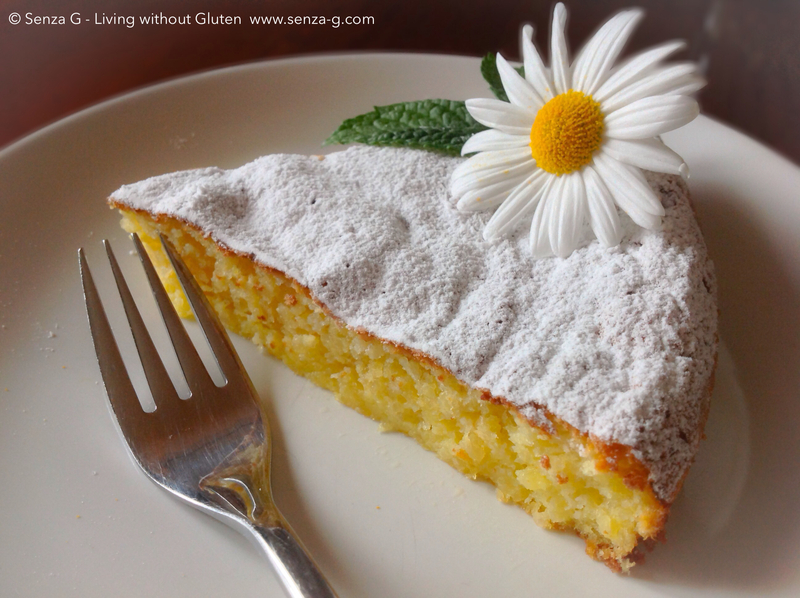 It has no wheat flour in it and is made with almonds instead, so it is perfect for us Celiacs! This is the ‘blond’ version, made with almonds and white chocolate instead but with a hint of lemon. It can also be made with Limoncello instead of the juice. The quantities below would make a cake to serve 6 to 8, depending on how much you want to keep for yourself! Beat the egg yolks with the oil and the salt. Add the icing sugar, the lemon juice and the lemon zest. Add also the finely chopped white chocolate, the baking powder and the finely crushed almonds. Combine well. In a clean bowl, using a hand held mixer, whisk the egg whites until peaks form. Gently add this to the almond mix and combine. Grease and lightly dust with GF flour, a 26inch spring release cake tin. Pour the cake mix into it and level. Bake in a preheated oven at 170C for exactly 30 minutes. Take out of the oven and leave to cool. When the cake has cooled down, dust the top with icing sugar.